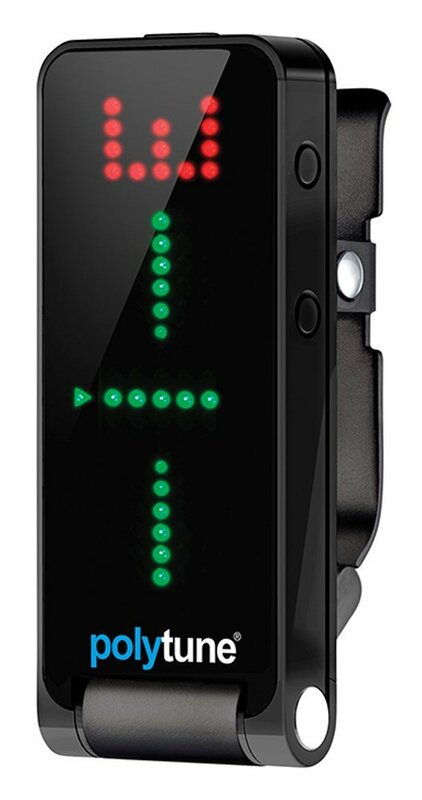 The TC Electronic PolyTune Clip is the first clip on tuner that has full Polyphonic functionality. Strum your guitar and let the TC Electronic PolyTune Clip tell you which string is out of tune!!!! With super bright display you'll never miss a string thats out of tune! The TC Electronic PolyTune Clip is much more than just a clip-on tuner, it's a revolution! 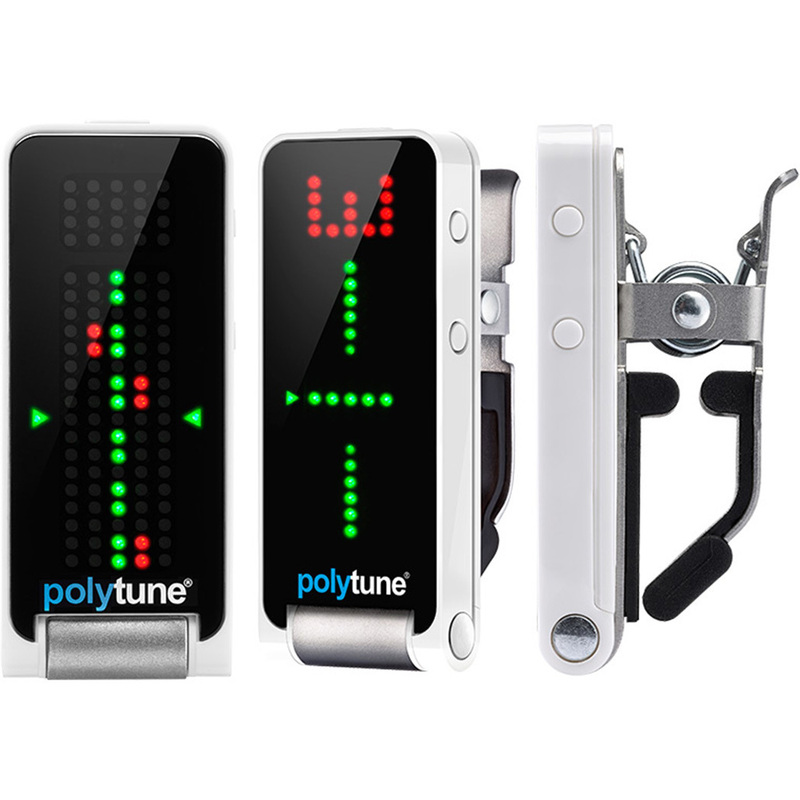 Perfectly combining state of the art tuning technology with an unprecedented attention to aesthetics and functionality, PolyTune Clip gives a tune-up that's unmatched in speed, precision and grace. The TC Electronic PolyTune Clip is designed to be your trusty tuning companion, whether you're going for a quick onstage tune-up or an ultra-precise setup of your instrument. TC Electronic PolyTune Clip sports three distinct tuning modes ranging from the game-changing polyphonic tuning mode that lets you tune all 6 strings at once, to your trusty chromatic tuner and all the way to an ultra-precise strobe tuner mode, which offers +/-0.02 cents of tuning precision. No matter what method you choose to use, the tuning trinity of the TC Electronic PolyTune Clip will always guide you to pitch perfection. As musicians we are all different. We play different instruments in different styles on different stages around the world, which is why it's a shame that all clip-on tuners are so set in their ways… until now! With its adaptive display, TC Electronic PolyTune Clip is designed to be in tune with you and your needs by automatically switching between polyphonic and chromatic tuning modes. By adjusting to however you want to use it; left handed, right handed, horizontally, vertically, electric, acoustic, guitar or bass; TC Electronic PolyTune Clip's got your back!